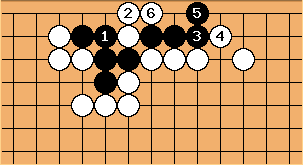 The key is , which uses the bao chi technique to capture a White stone as well as to save the three Black stones. At the same time, it makes the second eye as demonstrated by and . 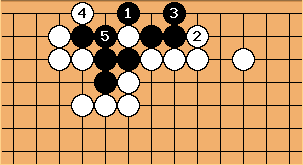 Although also saves the three stones, descends and kills. After and , this is the 123SW notcher with the vital point occupied. and are miai.